The Providence 72″, double sink, Driftwood vanity by James Martin Furniture features a Plantation Style take that can take you anywhere. 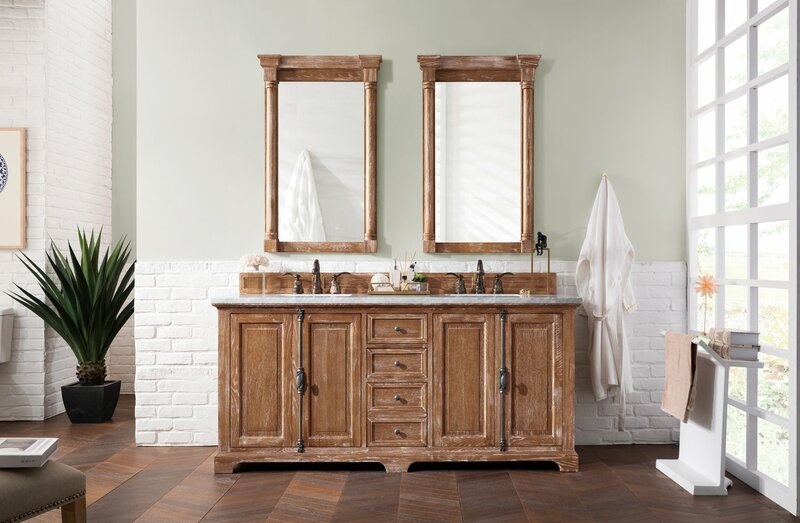 From the beach to the cottage, to the cabin you will feel at home with this beautifully handcrafted piece of furniture as the focal point in your bathroom. 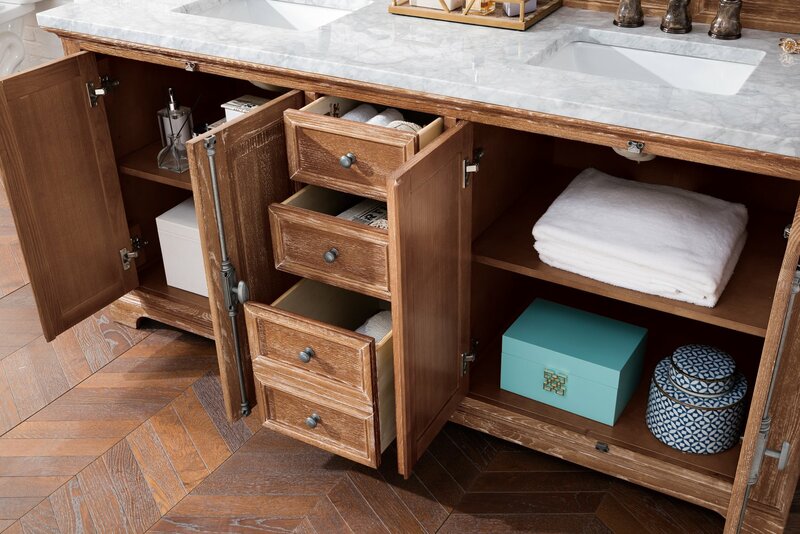 Pewter finish Plantation Style door hardware and drawer pulls adorn four doors, with shelves for storage, and three center drawers, with the bottom drawer being double height for taller items. 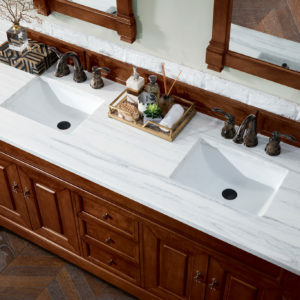 The matching decorative wood backsplash is included. 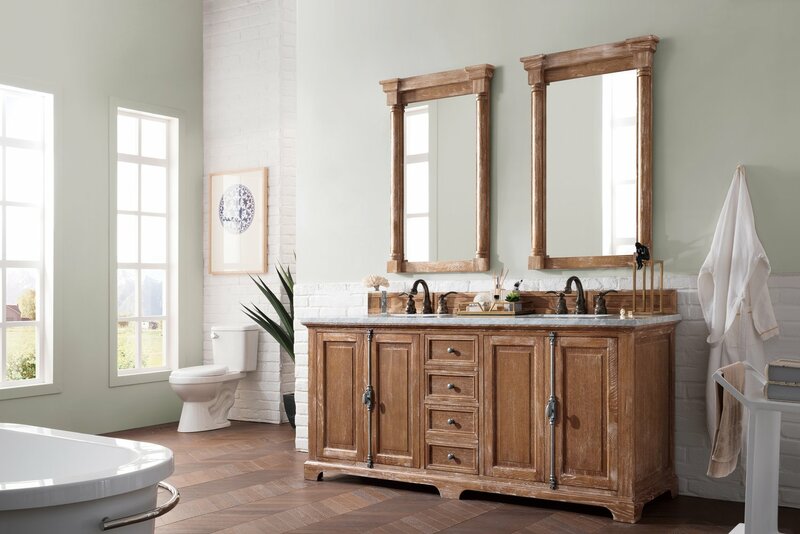 The Providence Collection by James Martin Furniture features a Plantation Style take that can take you anywhere. 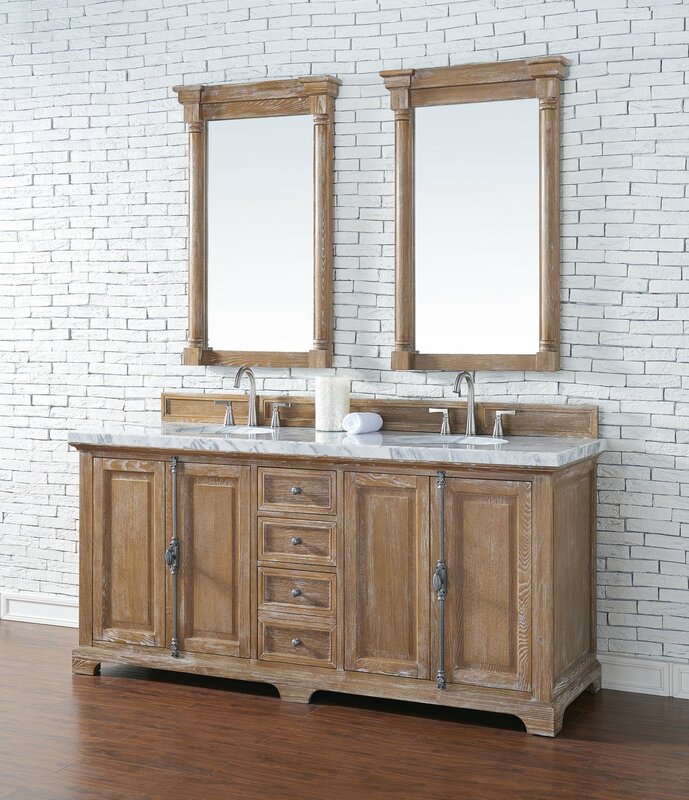 From the beach to the cottage, to the cabin you will feel at home with this beautifully handcrafted piece of furniture as the focal point in your bathroom. 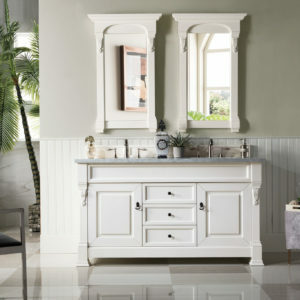 This collection is offered in a variety of finish colors. Each cabinet is configured to work with our variety of either 2cm or a 4 cm countertops. 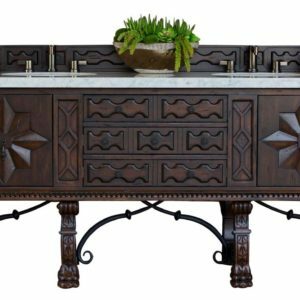 Pewter finish Plantation Style door hardware and drawer pulls adorn the various doors and drawers. 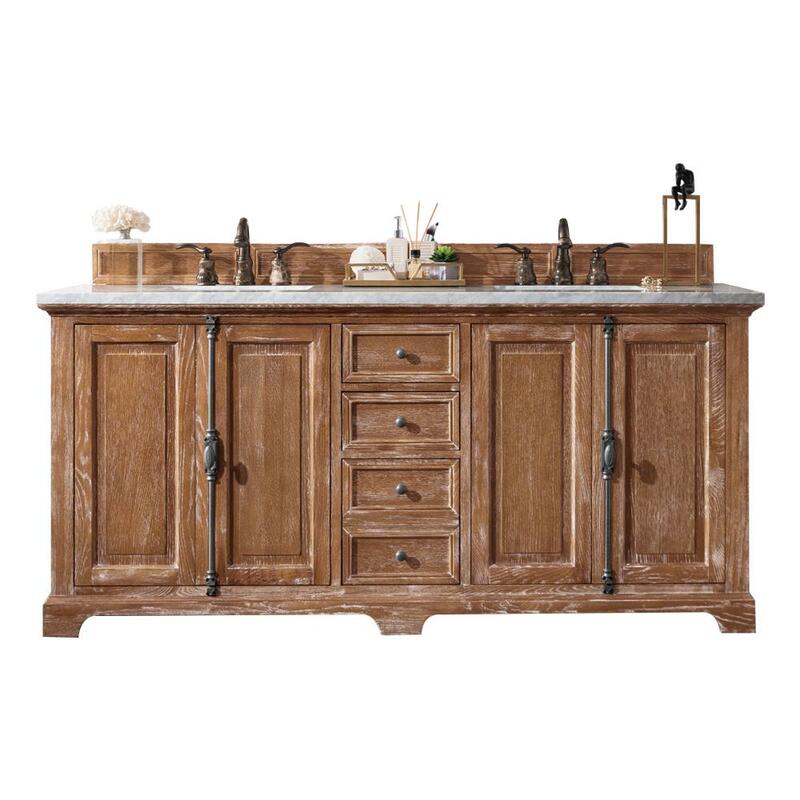 Each cabinet includes a matching decorative wood backsplash.